Can you see clearly now with the SAP IBP 'Supply Chain Network' app? Everyone says it, and almost every Supply Chain related blog states it as its raison d’etre – our supply chains are complex, covering the globe and existing at multiple levels of finished goods, raw materials, work in progress etc. 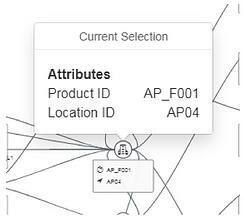 Being able to see this complexity is notoriously difficult, and many specialist tools exist to provide better insight to your Supply Chain network – but they are often standalone software packages, not linked to the day to day operations and so only provide a static snapshot view. 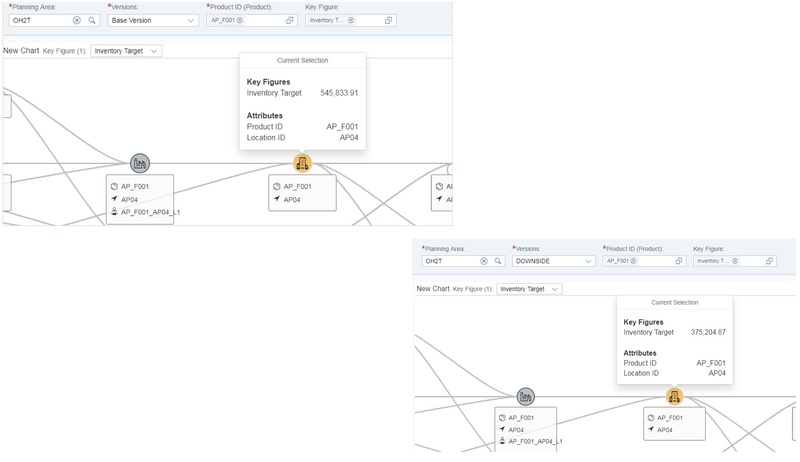 SAP Integrated Business Planning (IBP) version 1708 added the next generation tool for visualising your Supply Chain network – a Fiori app which replaced the old analytics Network Visualisation chart. The old told tool was very basic and provided only a simple view of your network. Great for validating models, but added very little value add and wasn't user friendly or flexible. So what does the new app do? Then we have to select which of the different versions exist in that planning area – again, we will look at how we can use versions effectively later. We also need to select the customer level and products we wish to view. A word of caution that applies to any visualisation tool, and an obvious one at that – the more products you display, the harder your chart will be to view in the window. Once we have selected these criteria, we can then generate a chart – a much easier on the eye view than the previous tool as you can see below. Each node has it’s own symbol as can be seen below. More symbols are likely to be added in the future as new capability enters IBP – these can be selected to view as part of the legend, so it isn’t essential to remember each one! We can also click in to view more details about a node in the network, which at this stage is quite basic, but as we will see as we add more information to the chart becomes incredibly convenient. Recent releases have added more functionality for slicing and dicing this information. A key one has been the addition of a time dimension, enabling the keg figure data to become much more powerful, and with ability for this be saved with a rolling period this makes using these charts within dashboards incredibly useful. Unit of measure and currency conversions are also possible, so the data can truly be used by everyone in the business to suit their needs or market. So, that’s our network view which is great, but there is more that this little app can do. You may have already spotted the key figure filter in previous screenshots, and we will now take a look at how this can be used. So, as you may have guessed, this gives us access to overlay any key figure that exists within our selected planning area. By doing so, we can view the key figure at each node in the network, and a very nice feature is that the app also adds a heat map effect to each node to show which has the highest values. I mentioned earlier we can click nodes for more details, and as you can see here you can view the actual data for each key figure. Notice I have multiple key figures in this view? You can select as many as you like, and use the filter within the chart to select which one you wish to have highlighted on the chart. This is all really nice stuff, and will look great in presentations, but we want to be able to actually use this to help us understand our network better. How can we use this app to think about our master data in different ways or even our supply chain design? Here are a few use cases I have put together. So let’s start with a topic close to my heart – safety stock. By adding the recommended safety stock key figure in our Inventory planning area, I can quickly see which location is carrying most of our stock. We can review our longest lead time in a network by adding our transportation lead times to the chart. Note how this highlights the actual connection and we can view the data for this lane. As I said previously, using versions provides some interesting possibilities. We can start to assess different network designs, and view them side by side (albeit by having two windows open) to see how the different designs impact areas such as target stock, as can be seen below. That is a very short overview of the Supply Chain Network app, and it is yet another great addition to the IBP suite that can be used to drive real business benefit. Already we are seeing customers realise the value this brings, and we see it being used it used in a wide range of dashboards on our projects. To find out more about this and any other functionality within SAP IBP, get in touch with Olivehorse today!